← R U Coming Out? 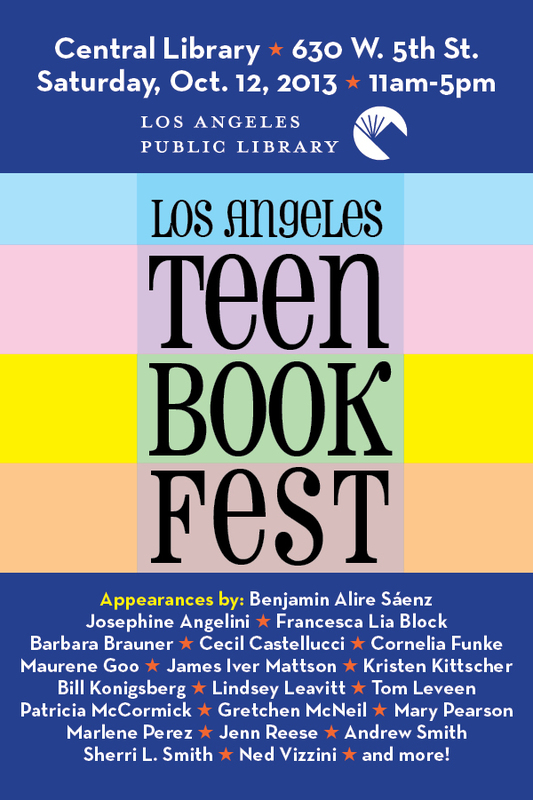 So I’m off to LA for the Los Angeles Teen Book Fest! This promises to be a great day of events. I mean, look at that list of authors! I’m especially excited to see my friends Ned Vizzini (It’s Kind of a Long Story) and Andrew Smith (Winger). I’ve worked with Ned once before, but Andrew and I have a friendship that has been, to this point, totally online. I am so impressed by his writing, and the fact that he is close with my buddy A.S. King tells me all I need to know about him otherwise. I don’t mean to single anyone out, because, I mean, look at that list! There are so many authors who I truly admire who will be there. I’m on the 2pm panel “Keepin’ It Real” with Maureen Goo, Patricia McCormick, Ned and Andrew. Huzzah! Then at 3, I’m on “What We Talk About When We Talk About Love” with Josephine Angelini and Elana K. Arnold. Very intrigued by the possibilities for that panel! 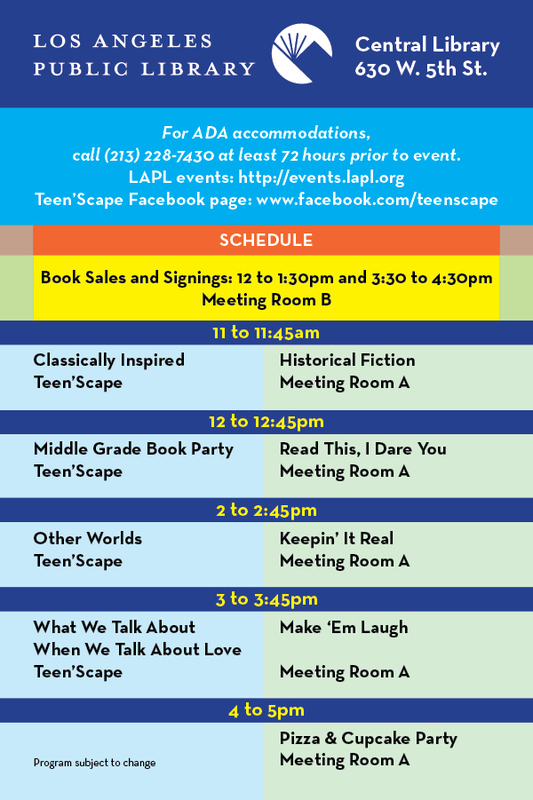 I’ll be signing books at 4. If you’re in the area, stop on by! It should be a terrific event! Wish I’d been in LA today. This looks like an amazing day of panels. I hope you’ll post about what the day was like. It was a GREAT event. Such a tremendous opportunity to spend time with such awesome authors, and the panels I was at were really interesting. Super excited I was able to meet you. You had a lot of awesome advice for writing, and for tackling contemporary and romance. I’m also SO excited to read your book. I get giddy when I see LGBT themes in books, so I’m very happy to know your books are out there. Thank you for signing my writing advice poster too! I hope you’ll enjoy the book! And I do recall not only signing your poster, but what I wrote. So yeah… give yourself permission to write poorly!